Randy Pierson of Oakdale, Calif., takes over the lead on Day 2 of the Academy Sports + Outdoors B.A.S.S. 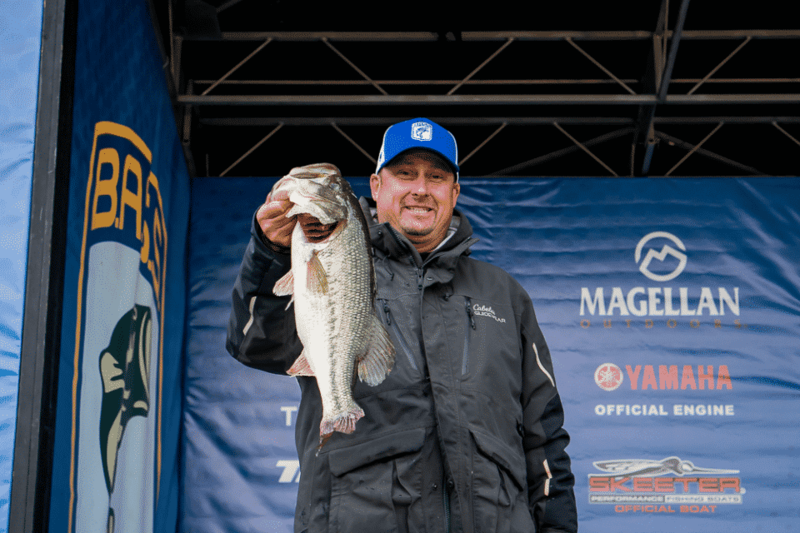 Nation Championship presented by Magellan Outdoors on Pickwick Lake out of Florence, Ala.
On Thursday, Miller fished flawlessly, catching his five-bass limit weighing 21 pounds in his first seven casts of the day. On Saturday, there will be no holding back. Stronger current also made Dorsett’s fish more active. After catching 13-7 Thursday, he added 19-1 today to grab fourth with a total of 32-0. “I have the area to myself, so I can really try and dial into the fish on Saturday,” he added. Today the nonboater champion was determined. 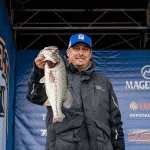 Tim Ward won the title with 30-3 after catching 15-14 today and 14-5 on Thursday. Ward of Sylacauga, Ala., advanced to the championship round on Saturday. Ward gets to compete on Saturday from his boat as the nonboater champion. That was his goal for the tournament. That makes winning the tournament his new goal. That is not a long shot, either. Louisiana nonboater Ryan Lavigne won the 2016 Championship, and Ward hopes to repeat the feat.